The issue of data privacy and security has been cast into the international spotlight in recent years. In fact, since the Cambridge Analytica scandal lifted the lid on the extent of data misuse within the technology sector, numerous investigations have exposed further instances of hacking and impropriety. Despite these prevalent issues, digital forces – from social media to the Internet of Things – continue to play an increasingly significant role in our lives. Indeed, it is nearly impossible to get through the day without using a form of technology that is at risk of being hacked for surveillance purposes. As the threat of illegal spying looms over businesses and consumers alike, The New Economy lists the five top surveillance scandals to have surfaced in recent years. Chinese telecoms giant Huawei has been the focal point of a serious debate around national security this year, with a number of countries – including the US, Australia and New Zealand – having voiced concerns that the Chinese Government could use the smartphone manufacturer to spy on foreign nations. Although the UK’s National Cyber Security Centre has describedthe risk posed by working with Huawei as ‘manageable’, others remain wary. According to a report in the South China Morning Post, the firm’s products have been banned from government systems in Taiwan due to spying concerns. The Wall Street Journal has also reported that the US is investigating Huawei for allegedly stealing trade secrets from a number of US business partners, including T-Mobile. Fears have long been growing around the security of smart home devices. While these internet-enabled gadgets have become a permanent fixture in many of our homes, they can be susceptible to hackers or spies if the proper precautions are not taken when installing them. In 2018, Wired reported that a group of Chinese hackers had developed a new technique to take control of Amazon Echo’s voice assistant and turn it into a surveillance tool. Although Amazon responded quickly with security fixes – the hackers had presented their findings openly at a security conference – big tech companies are continually making missteps around security and privacy. In February, for example, reports emerged that Nest Guard, a part of Google’s Nest Secure home security and alarm range, had been equipped with a microphone without informing customers. A Google spokesperson told Business Insider that failing to mention the microphone in the product specifications was “an error” and that it “was never intended to be a secret”. “The microphone has never been on and is only activated when users specifically enable the option,” the spokesperson said. Despite this, the original omission will have done nothing to reassure users who already had trust issues with big tech firms. Since 2018, two former employees of electric carmaker Tesla have accused the company of illegally spying on workers. According to The Verge, Karl Hansen, a former member of Tesla’s security team, filed a whistleblower tip with the US Securities and Exchange Commission (SEC) claiming that Tesla had installed “specialised router equipment… designed to capture employee cell phone communications and/or retrieve employee cell phone data”, among other things. In March 2019, Business Insider reported that Sean Gouthro, Tesla’s ex-global security lead, had filed a separate complaint with the SEC that corroborated Hansen’s tip. A Tesla spokesperson told The Verge that Gouthro’s claims – and those of other ex-Tesla employees represented by the law firm Meissner Associates, including Hansen – were “untrue and sensationalised, [and] only intended to seek the attention of the media”. In January, an investigation by TechCrunch found that Facebook had paid volunteers as young as 13 years old to install the Facebook Research app, giving the tech giant wide-ranging access to the data on their phones. 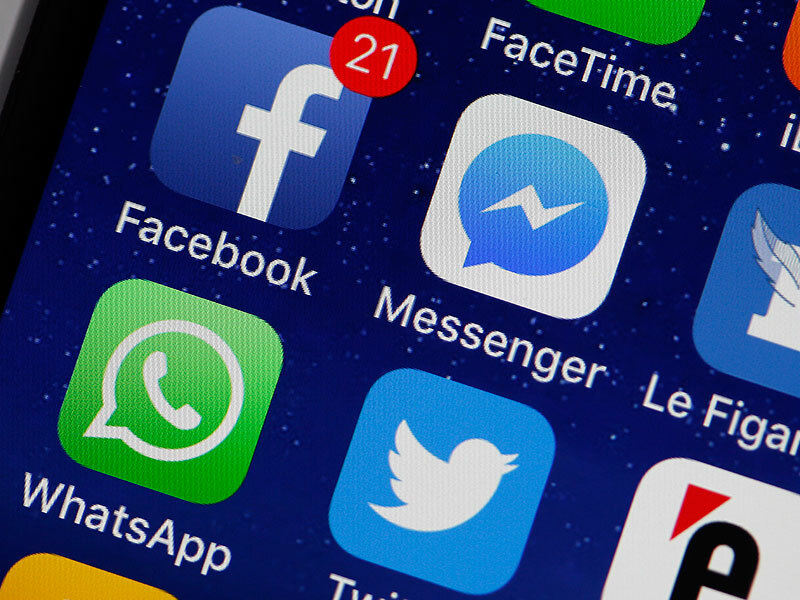 Since the news emerged, Apple has banned the app for violating its developer guidelines, while Facebook has said it will terminate the market research programme. However, Facebook had previously been accused of using a similar app, Onavo, to gather information on its rivals. The company later removed Onavo from the App Store after Apple said it violated data-sharing guidelines. A report by Nikkei Asian Review recently brought to light US tech firms’ fears that the Chinese Government could use server power cords and plugs to access sensitive data. In the report, cybersecurity experts confirmed the concerns were reasonable, with the complexity of the power supply systems making them vulnerable to hackers. According to unnamed executives at Lite-On Technology – a Taiwanese electronics manufacturing services company that provides power supply systems to HP, IBM and Dell, among others – these concerns have further harmed the Chinese tech sector, prompting several US firms to ask for the production of some components to be moved out of mainland China.